The combined tour operates daily from April to October. The Dachau Concentration Camp Tour departs at 9.15 and the Third Reich Walking Tour departs at 15.00. The tour concludes at approximately 17.30 Konigsplatz, central Munich. We are comparing Munich WWII Combo: Dachau Concentration Camp and Third Reich Walking Tour Prices from leading ticket suppliers and Try to find you Cheap tickets prices on the market. In one full-day tour you will combine two of the most significant aspects in the history of Nazi German, the notorious Dachau Concentration Camp, and the rise of the Third Rich in Munich. The first section of the tour will take you out of the city centre to the village of Dachau and the former concentration camp which occupies the nearby area. This section of the tour will last approximately 5 hours. During this time, you will be accompanied by an expert historian guide from Munich who will take you to all areas of the memorial including the crematorium, bunkers, administration HQ, and the exhibition centre. At 3 pm the second section of the tour will begin, the Third Reich Walking Tour. Back in the city centre your local resident guide will lead you through the street, pointing out the former Nazi and Gestapo headquarters, the beer halls where early fascist groups used to meet and the building which hosted Hitler's very first speeches. Both sections of this tour will be led by professional English speaking guides who aim to deliver a comprehensive and authentic recount of the events which took place under Hitler and the Third Reich. 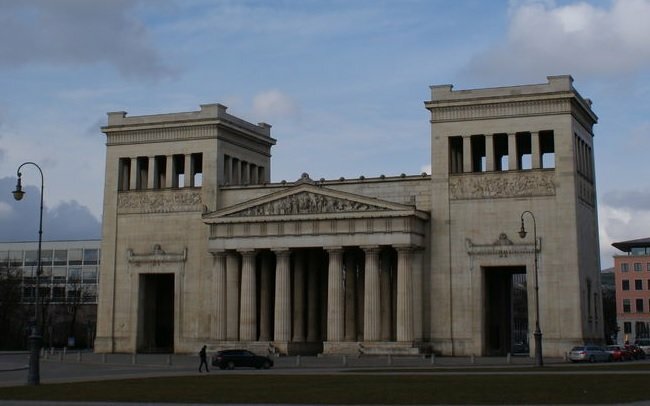 This tour is aimed at historians as well as visitors who want to fully understand the events leading up to the Third Reich and the brutality that occurred under Hitler's reign. Ideal for people who have some time to spend in the city and would like a full-day, in-depth tour. The combined tour is suitable for small groups or individuals as well as families with older children. Your Experience With Munich WWII Combo: Dachau Concentration Camp and Third Reich Walking Tour? Take a comprehensive tour of Munich and understand the impact of the Third Reich. Get an authentic insight into the atrocities committed in Nazi Germany during a visit the Dachau Concentration Camp. Travel with a local guide to the Dachau Memorial and return to Munich for the Third Reich walking tour. See the former Nazi headquarters and the beer halls where Hitler and his followers used to meet. What Munich WWII Combo: Dachau Concentration Camp and Third Reich Walking Tour Includes? Entrance and guided tour of Dachau Concentration Camp. Return transportation from Central Munich to Dachau Concentration Camp. 2.5 hour Third Reich themed walking tour of Munich. An expert English speaking tour guide. Central Munich – visit Dachau Concentration Camp – Central Munich for the Third Reich Walking Tour – Tour ends at Konigsplatz. By booking both the Dachau Concentration Camp tour and the Third Reich walking tour together you save over 11% on the tour price. Travelers Reviews about Munich WWII Combo: Dachau Concentration Camp and Third Reich Walking Tour? Travellers have given the Munich WWII Combined Tour 5 out of 5-stars on TripAdvisor, with over 200 reviews from users. Comments mention that the tour is well run but local guides and that the tour is very informative and ideal for people interested in the history of Nazi Germany. Reviews do not say if this tour is appropriate for children or minors. You will receive your ticket via email, please bring a printed or electronic version to show your guide. All tickets purchased through Get Your Guide are fully refundable up to 24 hours in advance. All tickets purchased through Viator are fully refundable up to 7 days in advance and partially refundable up to 3 days in advance. We recommend wearing comfortable shoes as there is a moderate amount of walking during this tour. This tour will contain content of a potentially disturbing nature which may not be suitable for children. All visitors to Dachau Concentration Camp are expected to behave in an appropriate way within the memorial site. This tour is split into two parts, Dachau Concentration Camp (morning) and Munich Third Reich Walking tour (afternoon), it is possible to book each tour separately. Meeting Point: Central Munich, please check your booking confirmation for exact location.